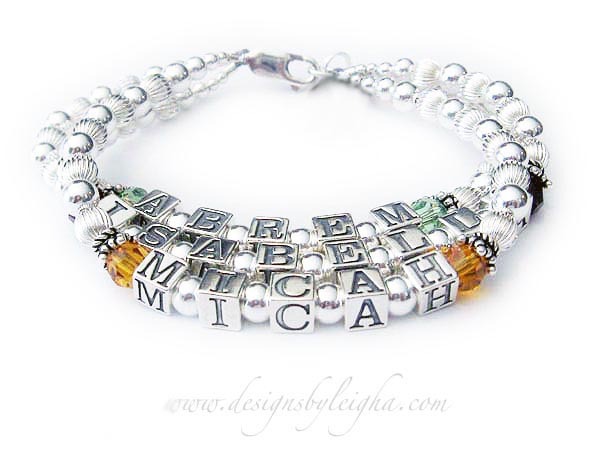 Abrem, Sabell and Micah Birthstone Mothers Bracelet with a lobster clasp and a Filigree MOM charm. 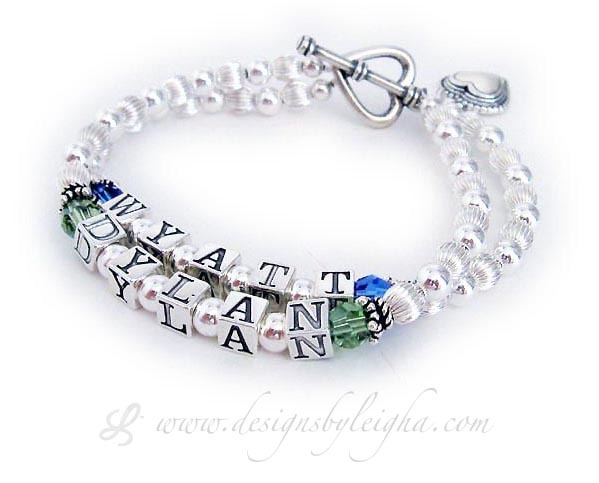 Wyatt & Dylan Birthstone Mothers Bracelet with an upgraded Heart Toggle Clasp and a Beaded Heart Charm. 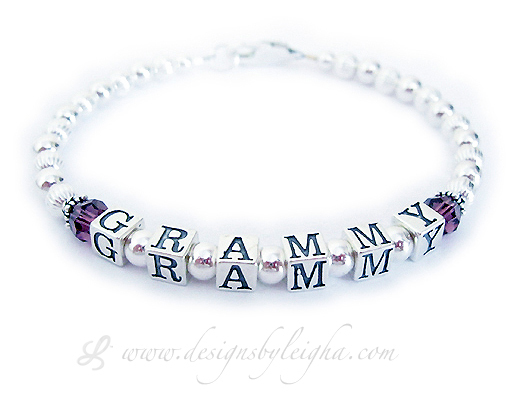 Grammy Birthstone Grandma Bracelet with a lobster clasp. Holly (September), Scott (March), Kelli (June) and Beth (February) Birthstone Mothers Bracelet with a slide clasp. 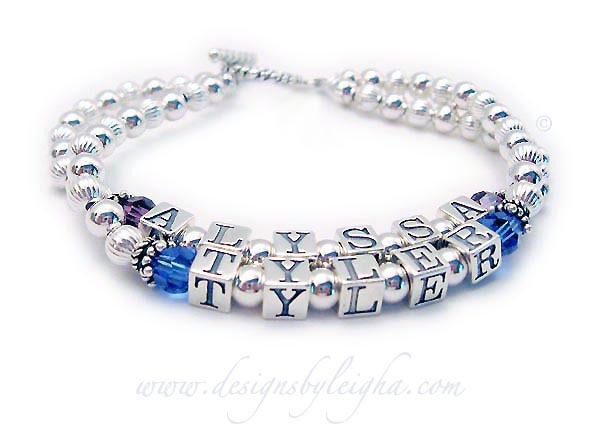 Alyssa (February) and Tyler (September) Birthstone Mothers Bracelet with a Twisted Toggle clasp and they added a Puffed Heart charm to their order.